Give Kids a Smile day 2018! 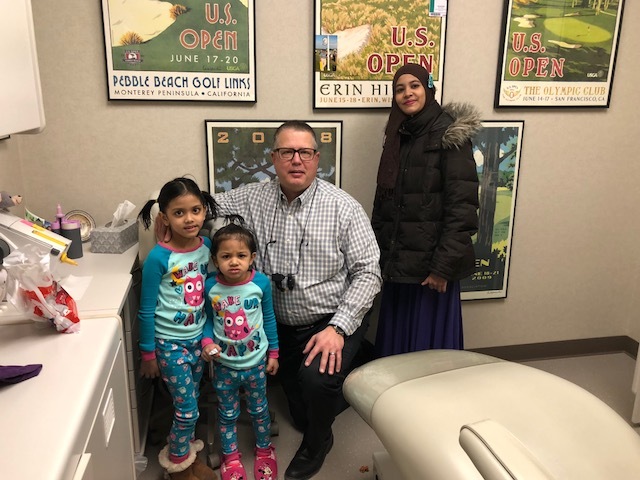 Dr. Crego and his team have been a part of Give Kids a Smile day for over 15 years, “Providing children with the dental services they need now, lays a foundation for healthy oral hygiene as they grow up – healthy baby teeth lead to healthy adult teeth,” said Dr. Crego. Through the ADA Foundation’s Give Kids A Smile program, launched nationally by the American Dental Association in 2003, more than 5.5 million under served children have received free oral health services. These free services are provided by volunteers including approximately 10,000 dentists annually, along with 30,000 other dental team members. Read about the history of GKAS, or make a donation. Categories: dentist, hygiene, kids, teeth | Permalink.